Malaysians can look forward to more premium quality, healthy and safe Australian produce this year as a new campaign takes off at leading retail outlets. The launch of the 'Now! In Season' campaign is aimed at promoting various Australian fresh fruits and vegetables at their peak quality and availability. Malaysia imported A$5.3million (RM71.3 million) or 871 tonnes of Australian fruits in 2015. 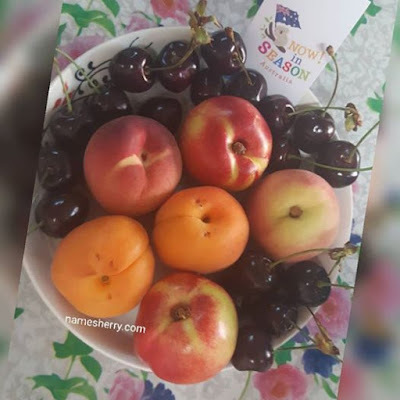 Over the last five years, between 2011 and 2015, the value and quantity of imported Australian fruits each grew by approximately 30 percent per annum - a clear demonstration of the high demand for top quality Australian produced in a very competitive market. The growth is expected to further increase due to this campaign. The Now! In Season program espouses Australia's quality soil, continual supply of clean water, strict food safety regulations and innovative farm practices. These factors, amongst others, are its horticulture industry's marks of distinction. Additionally, Australia's proximity to Malaysia and a proven track record of quality exports of fresh fruits and vegetables to global markets make it an attractive choice. Throughout the year, the Now! In Season campaign will educate consumers on the seasonality of the commodities, health and nutritional benefits of Australian produce as well as how to select and store the seasonal commodities. Cherries and summer stones fruits such as plums, nectarines, apricots and peaches are available from now until March. Table grapes come will be available from March to May, and citrus fruits such as oranges are available from August to October. Australian vegetables are available through out the year due to Australia wide production. Now! In Season is a global campaign by the Victorian State Government, Australian Government and Horticulture Innovative Australia. How to choosing and storing the cherries? Buying - choose cherries with green stems attached. The color of cherries will vary according to variety, however they should all appear plump with shiny skin. Avoid cherries that are soft and bruised or small and hard. Storage - Once picked, cherries cease to ripen, so should be consumed within 4 days of purchase. They last longer with the stem attached. Store cherries, loosely packed, in an airtight container or plastic bag in the fridge. Cherries can also be frozen, pitted, for up to 6 months. Preparation - Rinse cherries immediately before consuming. Fresh cherries can be served intact with stones or once pitted, however, the stones should be removed before use in cooking. To remove the stones use a cherry pitter or, using a small sharp knife, cut a slit in one side of the cherry then remove the stone. Most cherries are very juicy, so consider pitting them inside a plastic bag to avoid stains. "We are proud to be offering Malaysian Australian produce that is the benchmark for quality, safety and health. These fruits are not only great-tasting, healthy and nutritious, but are backed by our world-leading food safety standards, traceability and quality assurance systems." "Through this campaign, we're giving Malaysian consumers a taste of the best quality Australian produce. Our horticulture sector has a strong foundation, and we're continuously innovating to ensure we bring only the finest fruit and vegetables to stores." I love eating fruits from overseas. Now I know where to buy them and how to keep them, too. Yes! I love all the summer fruits especially the chgerries.